Chris and Lawrence Warwaruk from Farmery Estate Brewery. 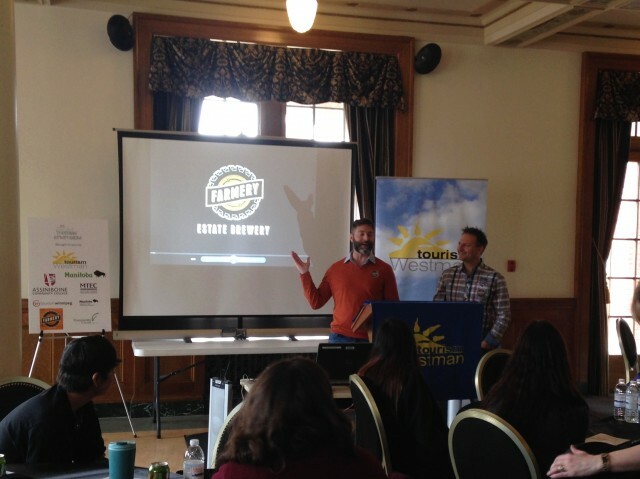 The first annual Rural Youth Tourism Symposium was held on April 8, 2015 at the Culinary Arts Institute in Brandon, by Westman Tourism. The symposium brought together rural youth from around Manitoba and showcased tourism opportunities in rural areas. Speakers included Joy Dornian and Joanne Baker from MAFRD and Chris and Lawrence Warwaruk from Farmery Brewery Estate. Sarah Woods (RDI Community Outreach and RPLC) also spoke at the event.